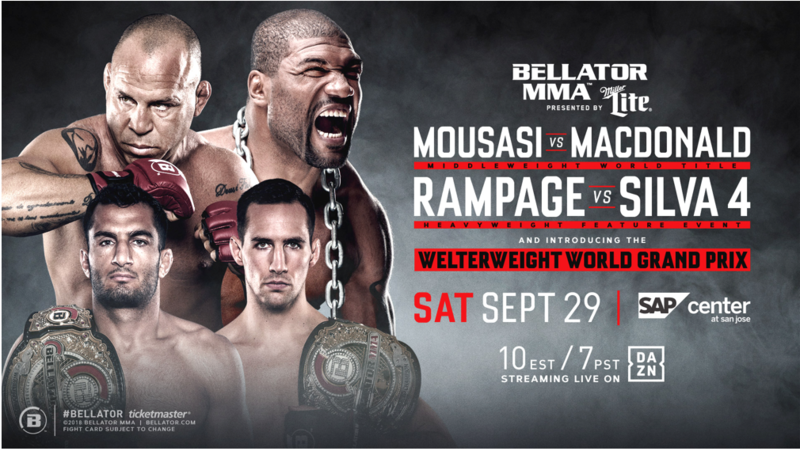 Viacom-owned MMA promoter Bellator has inked a multiyear global distribution agreement with Perform Group’s DAZN sports-streaming service. The nine-figure global deal will see 22 Bellator fights streamed live and on demand every year on DAZN. All the fights be will available in every country where DAZN is available, which includes Germany, Austria, Switzerland, Japan, Canada and, from this summer, the U.S. and Italy. The reportedly three-year deal with Bellator follows Perform Group and Matchroom Boxing’s $1 billion joint venture to create Matchroom Boxing USA. DAZN will be the exclusive broadcast partner for the JV, screening over 30 fight nights a year. In addition, Performed hired former ESPN president John Skipper to help oversee DAZN as it looks to grow its presence in the. U.S.
“Our multi-year streaming partnership with Bellator is a significant step in the development of DAZN and our fight sports offering. As the new destination for Bellator fans to watch all the action, it’s our aim to grow the popularity of the sport on the world stage, says DAZN CEO James Rushton. “With the combination of this investment in Bellator and our recent announcement to bring more than 30 nights of boxing to the platform annually, DAZN is a must-have for fight fans across all our markets,” Rushton continued. Viacom, which purchased a majority stake in Bellator in 2011, will continue to broadcast fights on Paramount Network, according to The Hollywood Reporter. The DAZN-Bellator deal begins with an event on Saturday, Sept. 29 from SAP Center in San Jose, featuring middleweight title fight pitting Gegard Mousasi (44-6-2) against Rory MacDonald (20-4), who is moving up a weight class for a title shot against the 185-pound champ, along with the fourth fight in the legendary rivalry between Quinton “Rampage” Jackson (37-13) and Wanderlei Silva (35-13). Also included on Sept. 29, will be the opening fight of Bellator’s first-ever Welterweight World Grand Prix, which will feature eight of the best welterweight fighters on the planet. The Bellator Welterweight World Grand Prix will be a major component of the first year of the multi-year agreement between Bellator and DAZN.